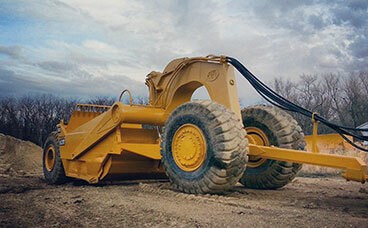 You should consider investing in Holmes' converted CAT 611, for a beefier, more muscular method of improving your ground. 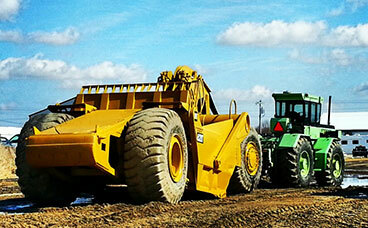 See how much smaller the agri-business unit in front is, compared to the heavily-built CAT 611 behind. CUSTOM-BUILT converted CAT pull scrapers. 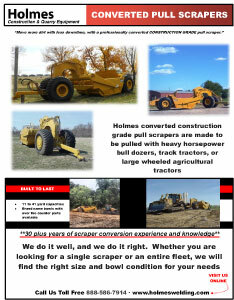 For dozers and ag tractors.